Global Reach | A Story about a Web Series tackles the proliferation of content and discovery of niche global audiences, which has never been easier than it is today. Clicks and views are needed to generate fandom, which leads to viewer dedication and measurable success. These accomplished creators, producers, and directors share their journeys, and let us in on their secrets for finding the stories that keep the viewers hungry for more. They’ll discuss how they funded their projects, as well as their approach to development, production and post, and quality control. Mélanie Lê Phan has worked for CBC Television in both Scripted and Unscripted programming since 2013. 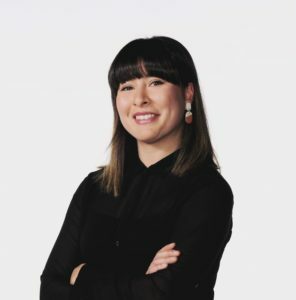 She is currently an Executive in Charge of Production for Scripted Digital Originals for CBC, overseeing production and development of mid-length series for CBC Gem and of social video series for CBC Comedy. She has worked on the most recent seasons of True Dating Stories, How to Buy A Baby and My 90-Year-Old Roommate in addition to other digital scripted series. Mélanie has also worked on digital unscripted content, including the doc series Farm Crime and The Artists as well as several CBC Docs: Shorts one-offs. 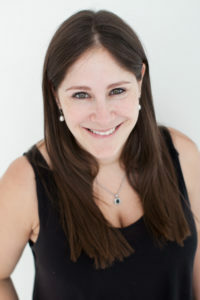 Lauren Corber is a producer, entertainment lawyer and founder of LoCo Motion Pictures. One of Canada’s leading digital content producers, Lauren has produced International Emmy nominated, How to Buy a Baby, two seasons of the award-winning comedy, My 90-Year-Old Roommate, and CBC children’s series Detention Adventure. Currently a member of the CMPA Board of Directors, Lauren is also an alumnus of the CFC Producer’s Lab, NSI’s Totally Television Program, the WIFT-T Development Incubator and the Bell Media Executive Producer Accelerator Lab. She/her. Vanessa Matsui is an actor, writer and director. She created, wrote, directed and stars in the web series Ghost BFF (Winner Best Web Series; LA Femme International Film Fest 2017, Nominated Best Web Series; Austin Film Festival 2017, Nominated Best Web Series and Best Lead Performer Digital; CSA 2019) currently streaming on Elizabeth Banks’ WhoHaha.com with over 4.7 million views across all platforms. She co-created “documentary puppetry” videos for Crankytown.ca (NFB) which was honoured with a Gemini nomination for Best Digital Non-Fiction in 2010. Selected acting credits include Shadowhunters (Freeform), The F-Word aka What If (CBS Films) and The Handmaid’s Tale (Hulu, MGM) to name a few. Working in both fiction and non-fiction, active content creator Kate Green knows the power of telling an engaging and inspiring story. Under her company KGP Films, Kate has directed and produced two award winning short documentaries (Not a Stranger and Melting Stars) and several short films that have played to enthusiastic festival audiences internationally. 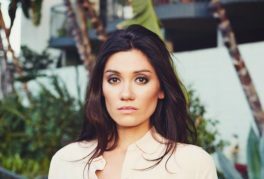 She recently LEAPED into the directors’ chair with her award-winning sci-fi web series, NarcoLeap, currently airing on Telus Optik TV and CBC.ca. Kate is a proud Alumna of the Women in the Director’s Chair, the National Screen Institute of Canada, and the University of British Columbia.